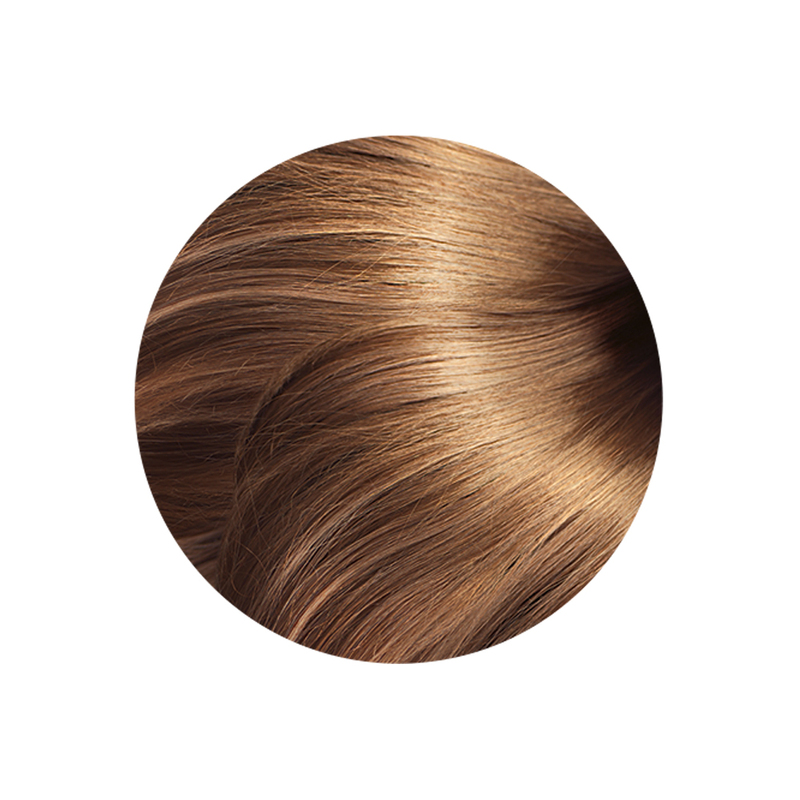 Honey Brown Low Chemical dye gives your hair a beautiful light, golden, toffee brown colour. 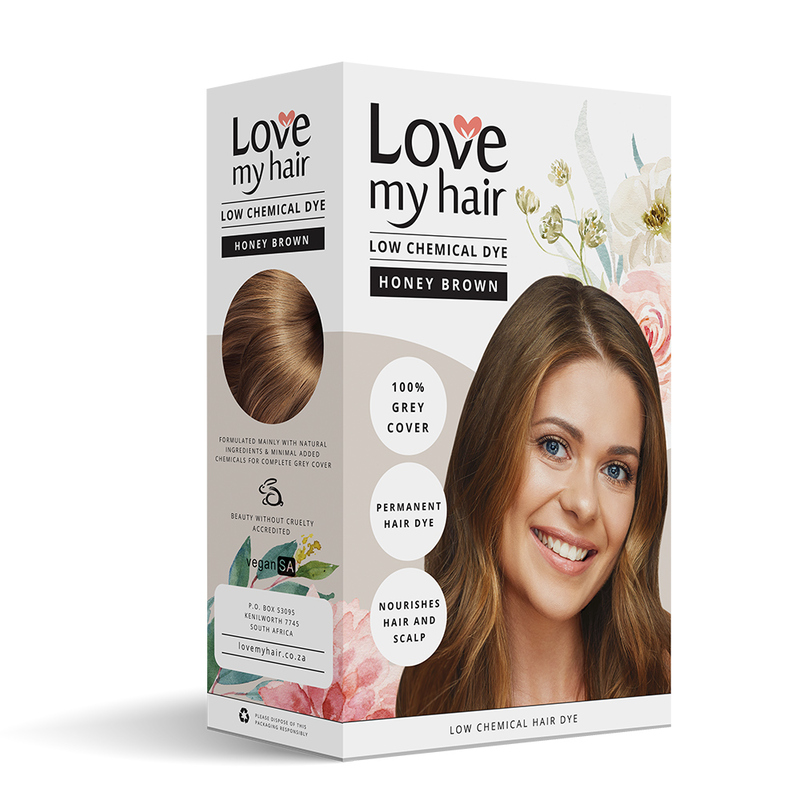 The Low Chemical range is the lowest dose chemical hair dye available in South Africa, containing only six chemical ingredients in very low quantities. All the chemical ingredients together comprise only 2% of the total, making these dyes the safest option for chemically colouring your hair in South Africa. In addition, the botanical extracts in this product improve hair growth and scalp condition by increasing circulation to the scalp and assist with clearing up problems such as dandruff and itchiness. 100 grams of dye powder, enough for collar to shoulder length hair. gives complete colour coverage on grey and non-grey hair in one quick application of 20-50 minutes. contains herbal extracts to nourish and condition your hair and scalp. can be mixed with the Love My Hair 100% Herbal dyes to even further reduce chemical exposure. the indicated colour is a guide. The final colour will vary depending on your original hair colour, hair type, previous treatments and application time. contains no bleach, so cannot lighten your hair. See Helpful Hints and Directions for use for information and tips. 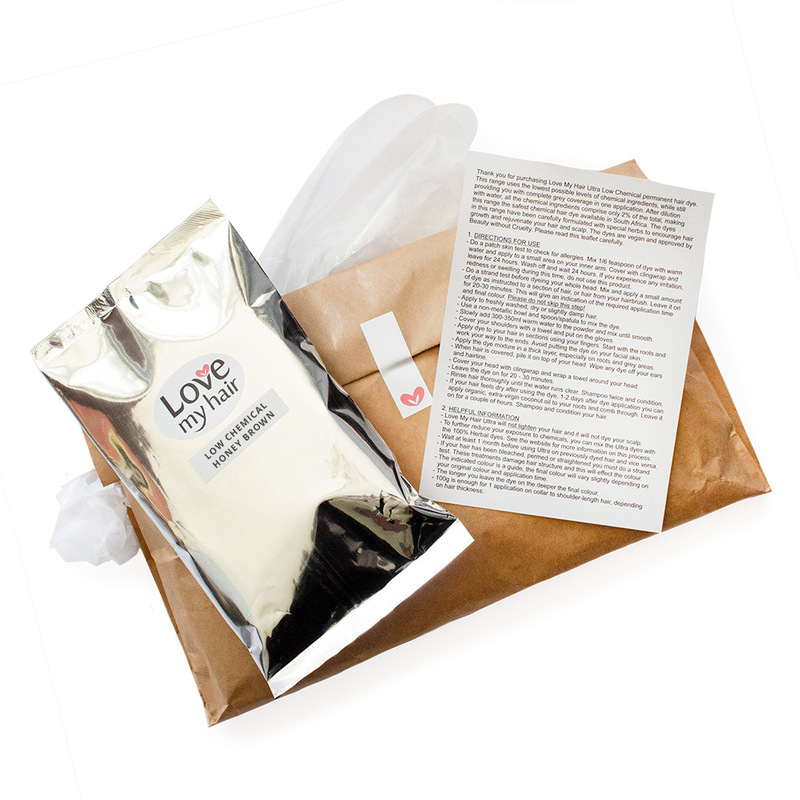 With your order you will receive 100g of dye powder, 1 pair of latex-free gloves and a detailed instruction leaflet. You will not receive the box packaging. Shipping cost is calculated on the Checkout page. Delivery by courier takes 2-5 working days. If you live outside South Africa, please contact us before placing your order. Ingredients: Henna*, PPD (para-phenylenediamine), Barium peroxide, 2-nitro paraphenylenediamine, Para amino phenol, Rose petal extract, Amla*, Bhringraj*, Shikakai*, Citric acid, Sodium laurel sulphate, Sodium sulphate (see Herbal Ingredients and Chemical Ingredients). *Certified organic. This must be the gentlest hair dye that I’ve ever used. It has a pleasant tea-ish-herbal type of smell and no burn or sting. It definitely covers grey hairs, although in a less uniform “uni-colour” than typical box dyes. I have naturally dull auburn hair (with about 5% greys mingled throughout) and this colour perked it up nicely. As an added bonus: it made my hair VERY shiny and STRAIGHT, plus I used only half the packet on my medium length hair! All in all: a gentle colour that is soft on the eye and the wallet – I shall definitely buy it again. Website Design by Pxllab | 2018 © Love My Hair. All Rights Reserved.